Stephen E. Silliman, professor of civil engineering and geological sciences at the University of Notre Dame, has been named the 2011 Henry Darcy Distinguished Lecturer by the National Ground Water Research and Educational Foundation. As the 2011 lecturer, Silliman will present a series of lectures on groundwater hydrology to numerous host institutions throughout the 2011 calendar year. Silliman’s expertise is in groundwater flow and transport in heterogeneous media, stochastic hydrology and water resource development and management in developing countries. Most recently, his work has focused on groundwater development and protection strategies based in both the United States and Western Africa, with an established research program in Benin, West Africa, forming the foundation of these efforts. This work involves numerical and in-country field efforts involving both undergraduate and graduate students working in close collaboration with faculty and students from the national university in Benin. His research has been supported by a number of agencies, ranging from the U.S. Department of Energy and National Science Foundation to private foundations. An active researcher and instructor, Silliman most recently served as associate dean for academic programs in the College of Engineering. He has received several University teaching and service awards throughout his career, including the University’s Grenville Clark Award in 2002, the college’s outstanding teacher award in 2003 and the Rev. William A. Toohey Award for Social Justice in 2004. 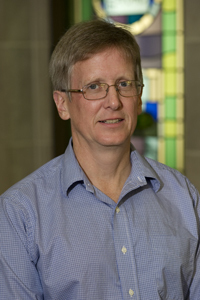 He also has received the Global Engineering and Engineering Technology Educator Award from the American Society for Engineering Education (ASEE) and been honored with the ASEE Illinois-Indiana Section Teaching Award for outstanding classroom performance and contributions to the development of departmental curricula. Through his career, Silliman has developed a number of international initiatives ranging from service and educational efforts for undergraduates to collaborative research involving both undergraduate and graduate students working with colleagues in Benin. His earlier international efforts in education ranged from a distance-learning course taught from Israel for Notre Dame students (during his Fulbright semester at the Weizmann Institute) to an annual service seminar (1999 to 2005) for Notre Dame undergraduates involving travel to northern Haiti where they worked with local villagers in repairing hand pump wells, the primary source of clean drinking water for the rural population in Haiti. In terms of research, Silliman and his students have worked in Benin since 1998 in multiple research programs ranging from sampling groundwater wells to determine the regional quality of groundwater in Benin, to working with local populations in order to identify and remediate local sources of groundwater contamination, to drilling of new groundwater wells, to a numerical/field study of the water quality threats to the groundwater system serving the potable water needs of Cotonou, a city of nearly 2 million people. In addition to working with Notre Dame students, Silliman has worked with Benin colleagues from their national university (the Universite d’Abomey-Calavi), their government water agencies, a Benin non-governmental organization and the local populations impacted by these research efforts. Silliman is a member of the National Ground Water Association (NGWA), the Geological Society of America, the American Geophysical Union (AGU) and the International Association of Hydrogeologists. He also has served as a project leader for Lifewater International (a private organization working on water resource development), the chair of the Groundwater Committee of the AGU and as associate editor on a variety of journals, including Ground Water, Hydrogeology, the Journal of Hydrology and Water Resources Research. A Notre Dame faculty member since 1986, Silliman earned his bachelor’s degree in civil engineering from Princeton University in 1979 and his master’s and doctoral degrees in hydrology and water resources in 1981 and 1986, respectively, from the University of Arizona. Established by the NGWA in 1986, the Darcy Distinguished Lecture Series honors Henry Darcy, the French hydraulic engineer whose investigations in 1856 provided the physical foundation for quantitative groundwater hydrology as it is studied today.